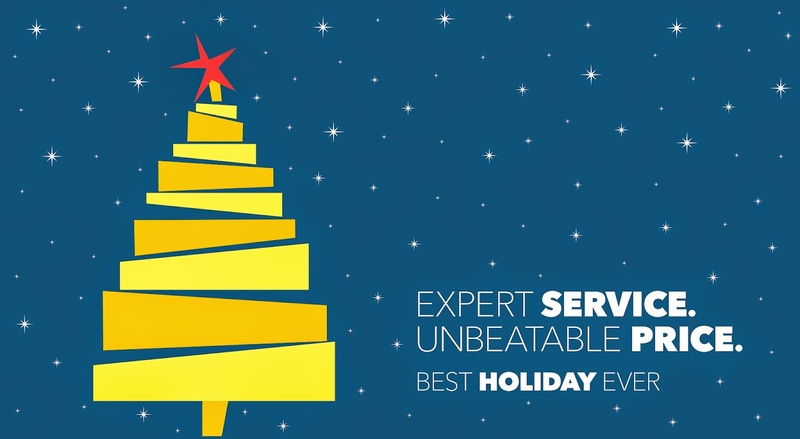 LG OLED at Best Buy will make your Holiday brighter. However, the thoughts and opinions are that of my own. LG just raised the bar with their LG OLED TV. I am excited to be able to tell you all about it. And share a savings opportunity that is exclusive to Best buy. The design of this ultra thin TV is amazing to say the least. At its thinnest point its a only 0.21 inches thick. Its Infinite Contrast allows for the most dramatic colors seen. Whites are whiter, blues are bluer, and black is blacker. 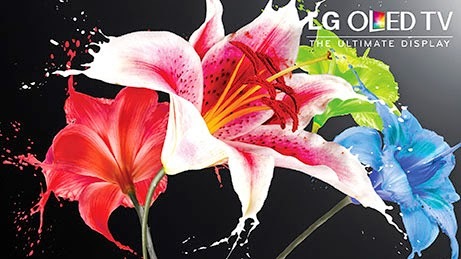 LGs exclusive 4 Color Pixel Technology will have you seeing everything in a new light. If you are like me you know TVs get better all the time. But this is the best I have seen in a long time. The Holidays and Winter are just around the corner so its the perfect time for a new TV. Especially for most of the country who will experience cold weather. I am one of those people. That means more time at home. More time watching TV. No matter if its a Holiday movie, catching up on your latest guilty pleasure, Football, or your Caribbean vacation videos. Wouldn't it be nice to see it on a great new TV? Think of all the new family memories you can have this holiday season. How about a family movie night? Family game night on your gaming console? Or even just watch home movies? The possibilities are endless. Isn't it time you started some creating new memories? What makes the LG OLED TV standout from the rest? 4 Color Pixel Technology that enhances color range and accuracy. WebOS, Find content even faster then ever. I left the best news for last! Pick up this amazing TV at Bestbuy and you can SAVE $500.00! Want to learn more about the New LG OLED TV? 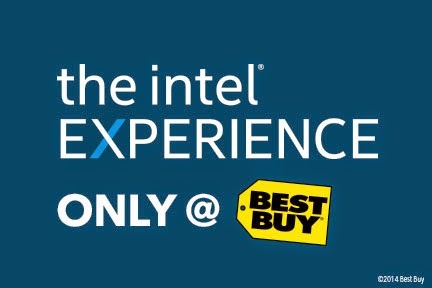 The Intel Experience:a hands on exclusive of the powers of Intel Only at Best Buy! 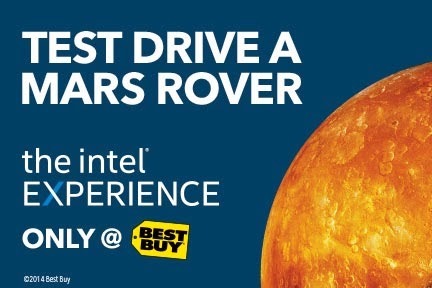 Best Buy is teaming up with Intel Technology to give the Intel Experience! I was really excited when I found out that I was going to be able to try out, the Intel Experience at Best Buy. According to a recent survey 79% of Americans are excited to try new technology. I am definitely one of them. I want the latest smartphone, laptop, and gadgets. Sometimes my wallet doesn't agree with me. But like half of those people surveyed, who love trying new technology. I get frustrated because I read such great reviews about a product, but I do not get to try it. Seeing a great review always makes me want to try it more. And most people agree. Being in the Chicago Metropolitan area means that I am located between to of the Best Buy locations, one in Downers Grove and one in Gurnee. But even if your not located near those locations. Best Buy has a total of 50 stores in major markets for you to experience the power of Intel for yourself. What types of things can you do at the Intel Experience? Build and print your own 3D robot. 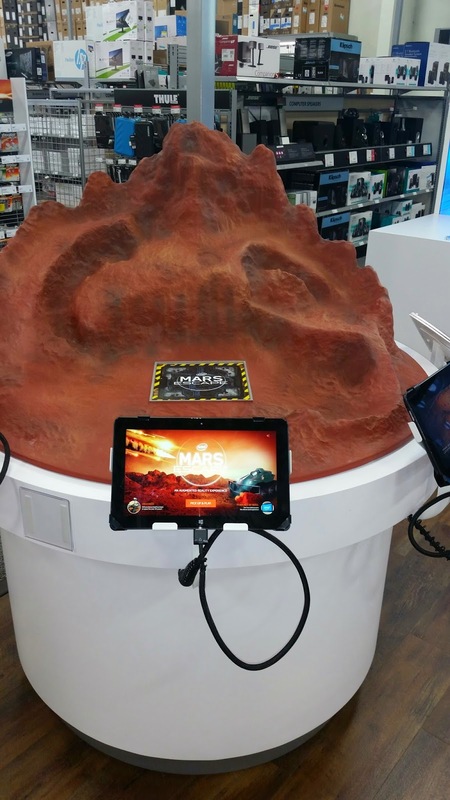 Race on Mars in an Augmented reality world. Remix music and master beats as a digital DJ. For this blog I went to the Best Buy at 1432 Butterfield rd in Downers Grove IL. This was my first time there. 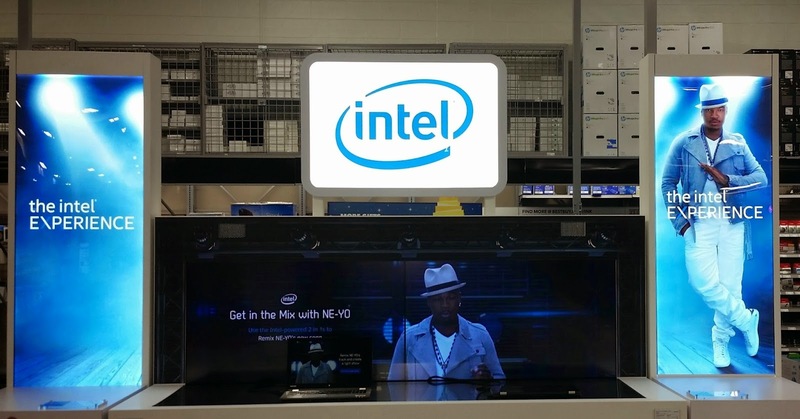 I was able to find the Intel Experience easily. I could not wait to try it all out. This was digital DJ zone. I got to see what its like to mix music to the sounds of NEYO. After trying it I will not be becoming a DJ any time soon. Its harder then I thought. But it was a ton of fun to try. Well Im never going to join NASA so this is the second best thing. I got to experience what its like to drive on Mars. I really wish I had come with my Son he would have loved this exhibit most. I plan on coming back with the family. This was my favorite part of the Intel Experience. Printing your own 3D robot. I didn't even know that you could buy a 3D printer at Best Buy. I thought they were a lot more expensive then $999. I love that they are accessible to everyone now. I was shocked at the vibrant colors of the items you can produce. I was expecting a basic white or grey, but as you can see by my next photo. The colors stand out. What can u make besides the Robot? 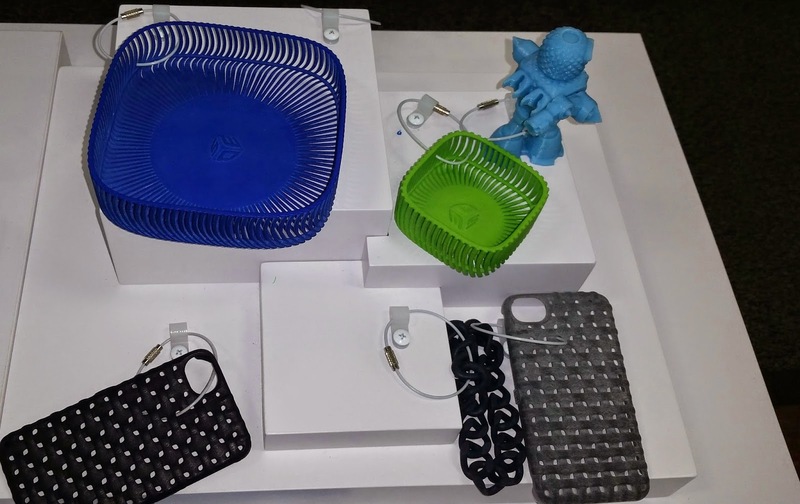 They had Iphone cases and small baskets on display. And the plastic they are made out of is shockingly sturdy. The reviewer has been compensated in the form of a Best Buy Gift Card and/or received the product/service at a reduced price or for free. However, the thoughts and opinions are that of my own. RSV: What every parent and caregiver needs to know! Even though I am a mother of a son who was an ECMO baby. And I am familiar with RSV, I still learned a lot writing this blog post. 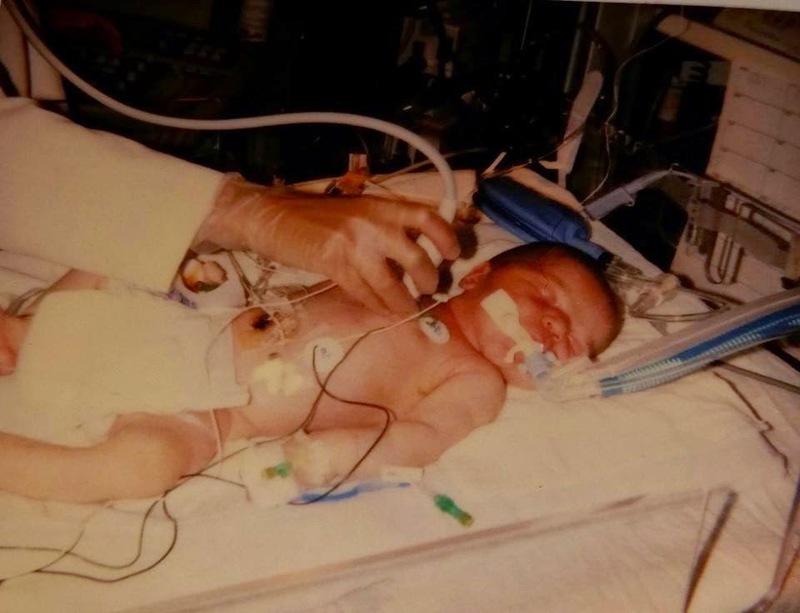 First let me tell you a bit about what I mean my son was an Ecmo baby. 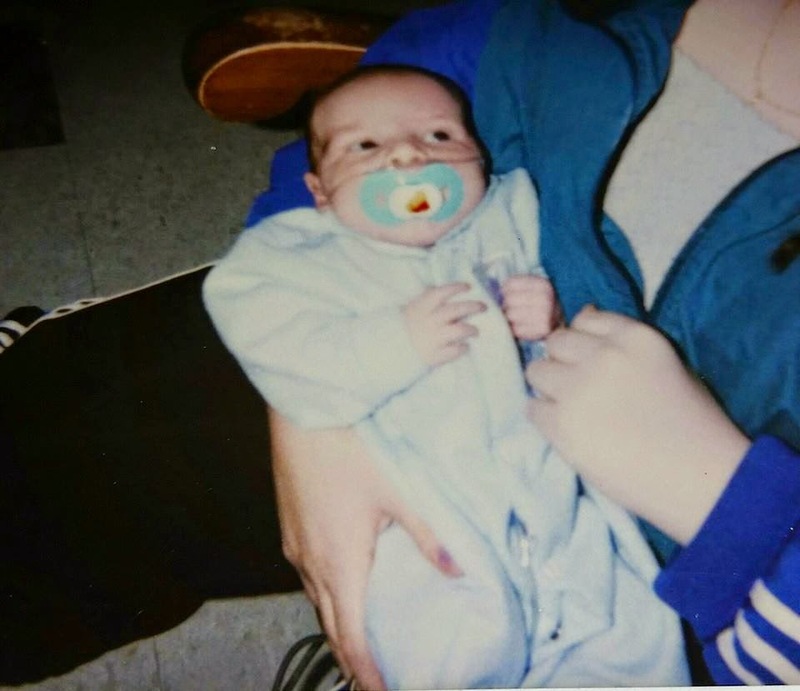 When my son was born, he had meconium aspiration. That means when he was delivered he swallowed some of the fluid he was in. And it got into his lungs and he had to be put on a machine called ECMO for a few days, to do the work of his heart and lungs. He is fine now strong and healthy boy. But those first couple of years I gained a lot of grey hair worrying about him. Every little sneeze I wanted to take him to the Doctor. This was him before he was put on the ECMO machine. This is my son a few days after he was off the machines. But due to the fact he had be on oxygen and was that lung machine at birth. We were informed about RSV. Sadly most parents arent. So why did I take on this cause? I have a newborn niece, a nephew under 2 and many friends with Newborns at home. Also I have had many friends whos children were hospitalized with RSV. Some I'm just finding out had severe cases of RSV. I was lucky because my son was in NICU I was informed about this disease. However, many parents are not. One third of Mothers who's children get RSV did not know what it was. We were prepared on what to look for. I plan to help you become prepared too. Respiratory Syncytial Virus is a common seasonal virus that effects almost 100% of all children, newborn to age 2. November until March is usually RSV season but it varies by geography. In most children it leads to a mild respiratory infection and the symptoms appear like a common cold or flu. However, in severe cases hospitalization is required. RSV is the leading cause of hospitalization in babies under one. That's 125,000 hospitalizations and up to 400 infant death every year in the USA. All children are at risk however, the risk for Preemies is doubled. Preemies are babies born at 37 weeks or earlier. The main reason for that is most preemies lungs are not as developed as a full term baby. At the moment there is NO CURE. Knowing the symptoms and prevention is your best defense. What are the symptoms of severe RSV disease? Ask your child’s pediatrician if he or she may be at high-risk and ways you can protect a high-risk baby .